Introducing earphones JBL T110. They are gentle, comfortable and compact. 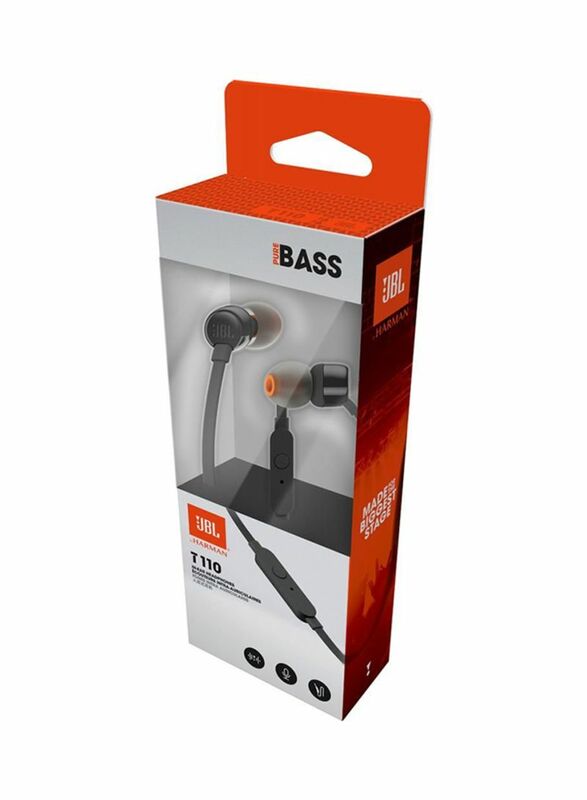 Under the durable housing headphones is a pair of 9 mm transducers katapultujúcich serious bass, carrying out the reproduction JBL Pure Bass sound, what you have experienced in concert halls and stadiums, and in recording studios around the world. In addition, one-button remote controller on a flat, tangle-resistant cable, allows you to control the music and receive phone calls on the go with the help of built-in microphone. Turn your JBL T110 your daily companion at work, at home and on the go.